Celebrate Father's Day with these sweet deals! 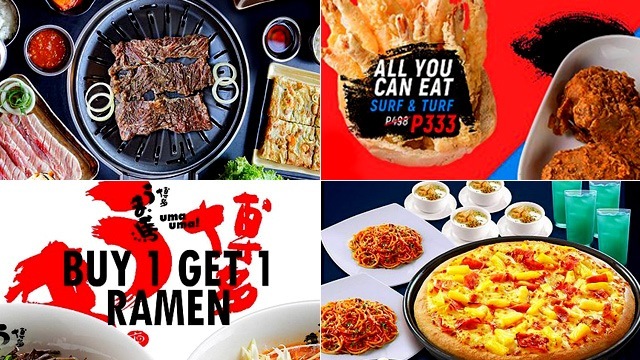 (SPOT.ph) Whether you're in the mood to celebrate freedom or you feel like kicking off the fam's Father's Day celebration early, there's a reason to eat your hearts out this coming week! We've found special deals for Dad, two-for-one pizzas, all-you-can-eat promos, and more. 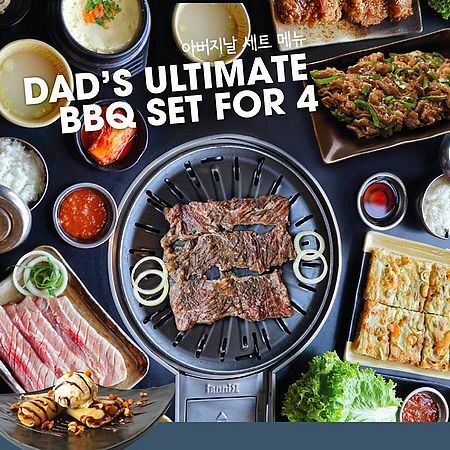 What better way to celebrate Dad than by treating him with the ultimate K-BBQ experience at Soban K-Town Grill? Their new Father's Day set has everything the family needs for a great Korean feast, such as Yangnyeom Tohsisal (premium marinated beef), Samgyupsal (pork belly with your choice of any flavor), Dak Ganjeong (fried chicken), Upjinsal (marinated beef in aromatic broth served on sizzling plate), Japchae (vermicelli noodles), Haemul Pajeon (seafood pancake), and Gyeranjjim (egg casserole). 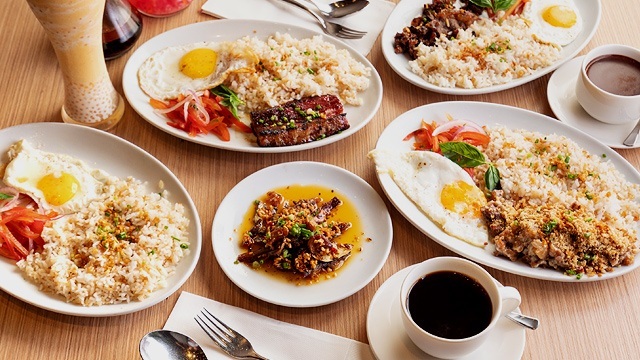 Plus, it comes with unlimited rice (your choice of plain or kimchi), unlimited soup, unlimited side dishes, and a coffee-crepe dessert. You also get four glasses of bottomless iced tea. Better act fast though—this set is available for P3,000 only until June 30. See a list of Soban K-Town Grill branches. For more information, log on to Soban K-Town Grill's Facebook page. 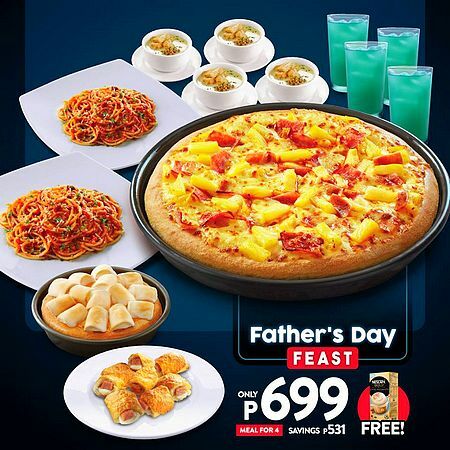 Alternatively, check out Pizza Hut's Father's Day Feast—because what dad doesn't love pizza? For only P699, the set includes a Large Hawaiian Supreme Pan Pizza, four servings of Mushroom Soup, two single servings of Spaghetti Bolognese, and four glasses of Citrus Blue iced tea. You also get an order of Hut Pops and a Dessert Pizza of your choice as well. This deal is valid for takeout and delivery. See a list of Pizza Hut branches. For more information, log on to Pizza Hut's Facebook page. 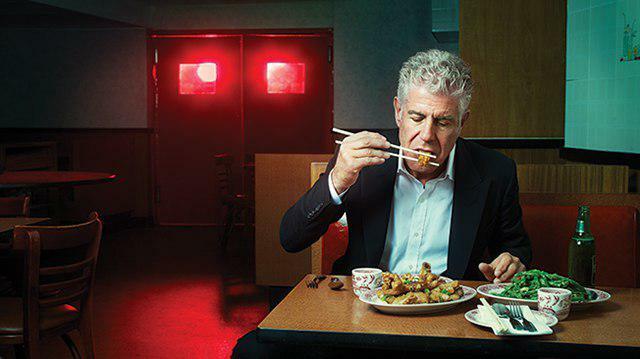 Does your dad like ribs? 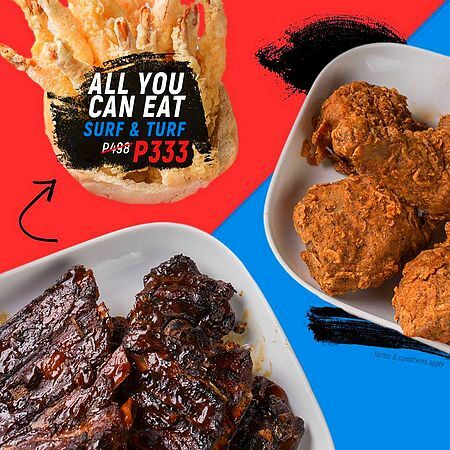 Well you're in luck, as RBCTY has extended its All-You-Can-Eat Surf and Turf promo for a discounted rate of P333 per person. Enjoy unlimited BBQ ribs, fried chicken, tempura, and more—just take a screenshot of this post and present it at you preferred RBCTY branch to avail of the promo. RBCTY has branches at 63 Maginhawa Street, UP Village, Quezon City and at UG/F Pioneer Highlands North, Pioneer corner Madison Streets, Mandaluyong City. For more information, log on to RBCTY's Facebook page. 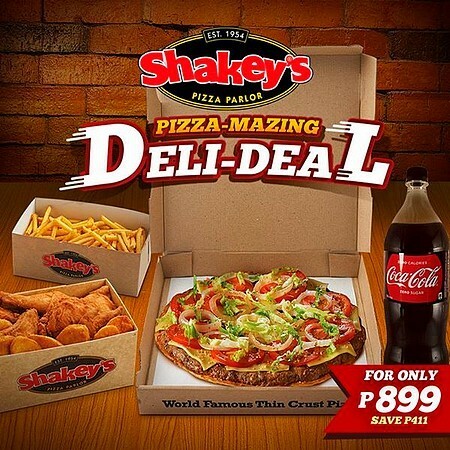 Here’s something pizza-mazing—check out the new Pizza-Mazing Deli-Deal at Shakey's! For only P899, you get a Large Thin Crust Angus Burger Pizza, a box of Chicken and Mojos, one box of Skinny Fries, and soda. This deal is available for delivery until July 31. To order online, head over to Shakey’s website. For more information, log on to Shakey's Facebook page. Double the fun with two bowls of ramen at Uma Uma! 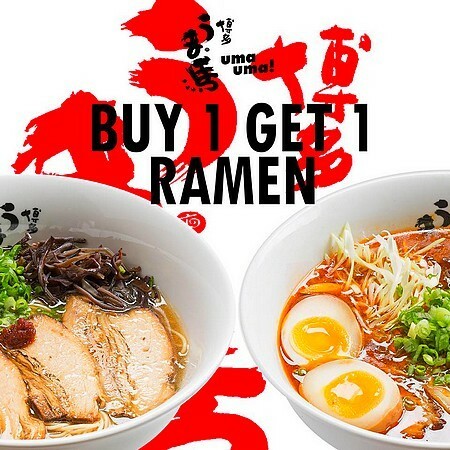 The ramen joint is celebrating their second anniversary with a buy-one-get-one promo on all their bowls. This promo runs until June 15 at the S Maison branch only. Uma Uma is at 2/F S Maison, Conrad Manila, Seaside Boulevard corner Coral Way, Mall of Asia Complex, Pasay City. For more information, log on to Uma Uma's Facebook page. 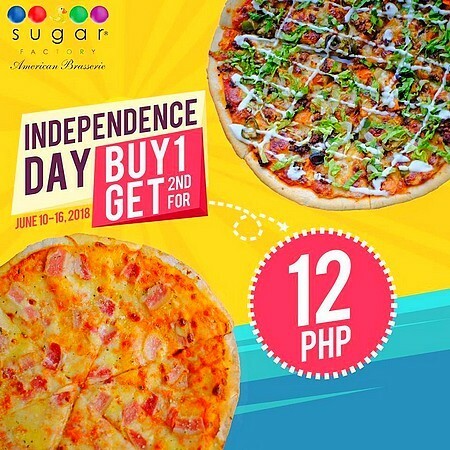 Sugar Factory is celebrating 120 years of Philippine Independence with a special promo. Buy any of the regular pizza choices and get your second pizza for only P12. This promo is available only until June 16 only so better act fast. Sugar Factory is at G/F Shangri-La at the Fort, 3rd Avenue corner 30th Street, Bonifacio Global City. For more information, log on to Sugar Factory's Facebook page. Here’s a deal perfect for the perpetually hungry! 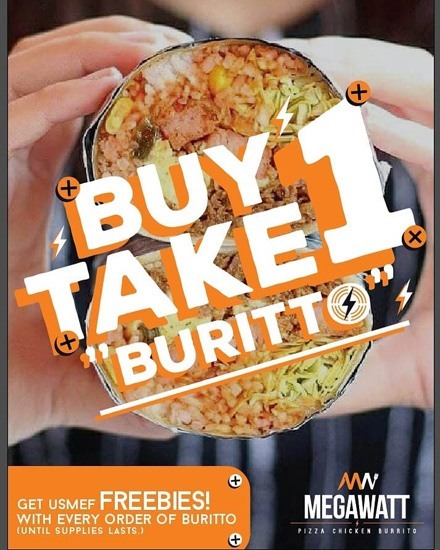 Take advantage of Megawatt’s buy-one-get-one promo on burritos—you can enjoy one and share the other with a friend (or eat both—we won't judge). This promo is valid for dine-in and takeout until June 15. Megawatt is at 3/F Fusebox Lifestyle Complex, Asturias Street corner Laong Laan, Quezon City; and 41-A N. Domingo Street corner Gilmore, Valencia, Quezon City. For more information, log on to Megawatt's Facebook page. Need a pick-me-up? 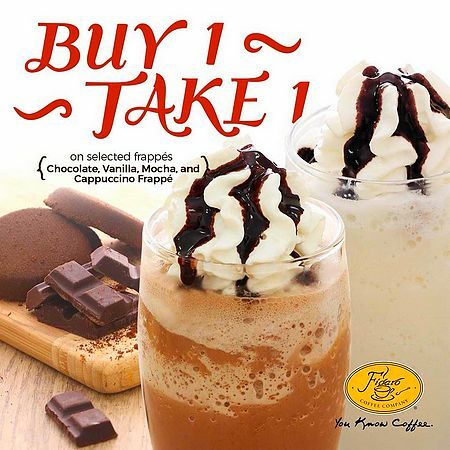 Head over to Figaro and enjoy a two-for-one promo on selected Frappe flavors: Chocolate, Vanilla, Mocha, and Cappuccino. This promo is valid at Figaro’s Greenhills Promenade branch until June 30. Figaro is at 2/F Promenade, Greenhills, San Juan City. For more information, log on to Figaro's Facebook page. Get classy with Sobremesa’s fine selection of red wines. 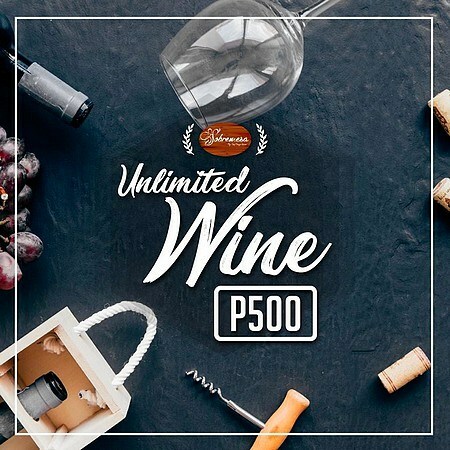 For only P500, get wine you can drink for two hours. Sobremesa is at The Sapphire Bloc, Sapphire Road, Ortigas Center, Pasig City. For more information, log on to Sobremesa's Facebook page. 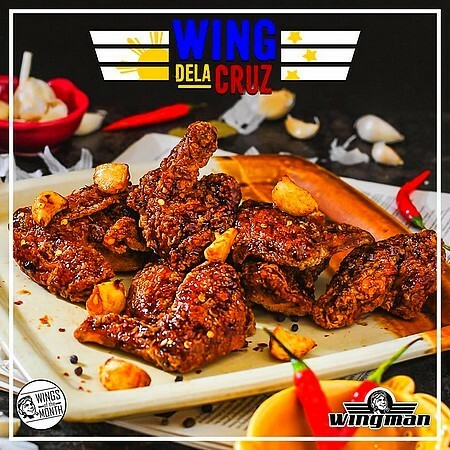 The Wing of the Month at Wingman is Wing Dela Cruz, an adobo-inspired chicken wing! It has tons of garlic and chili for that extra kick—definitely not your mom's recipe. Get a free drink whenever you include Wing Dela Cruz in your 12-piece order anytime this month! Wingman is at The Collective, Makati City and Acacia Estates Town Center, Taguig City. For more information, log on to Wingman's Facebook page.